I am forever indebted to food. As of today, 212 muffins, 42 bags of granola, 367 chocolate and butterscotch blondies, 115 peanut butter granola bars, 13 loaves of banana bread, and 137 jars of soup have passed from my kitchen out into my local community. This is not at all what I thought my first job would be. A nacho cheese artist at Taco Bell perhaps,but nothing as exciting as this. Rewind twenty-nine months, to June of 2012. I fell in love for the very first time. I have never seen anything that defies the imagination and stares down humanity quite like the Andes. The literal backbone of her continent, she is nothing less to her people. Her very presence is a signal of something much larger than anything we can comprehend, and that meaning is not lost in Bolivian culture. Twenty-nine months ago, I sat on an airplane, deafened by the roaring engines, with a puddle of Pepsi slowly soaking through my jeans, and I knew that I could do anything. Starting from nothing, I had raised the money for my ticket, my hotel, my meals. I was on my way to Bolivia, a real-life-other-country. That moment was a high that I think I will always be searching for, no matter where–north, south, east, or west–it leads me. 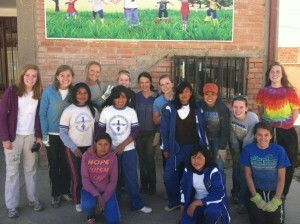 Twenty-nine months ago, I helped to build a recess area for the kids at a local school. I watched them run and jump into a sand pit during P.E. I saw them laughing and holding hands and singing, and I knew I would be back. By visiting an orphanage and accompanying health care workers on home visits, I had a glimpse into the life of the community. I finally felt like my existence was no longer dependent on my language and my culture, like I had been the idiom whose meaning slips between the cracks of translation. So, around this time next year, I will be volunteering again, this time for eight months, with the same organization, the CSRA, or Bolivian Rural Health Care Agency. 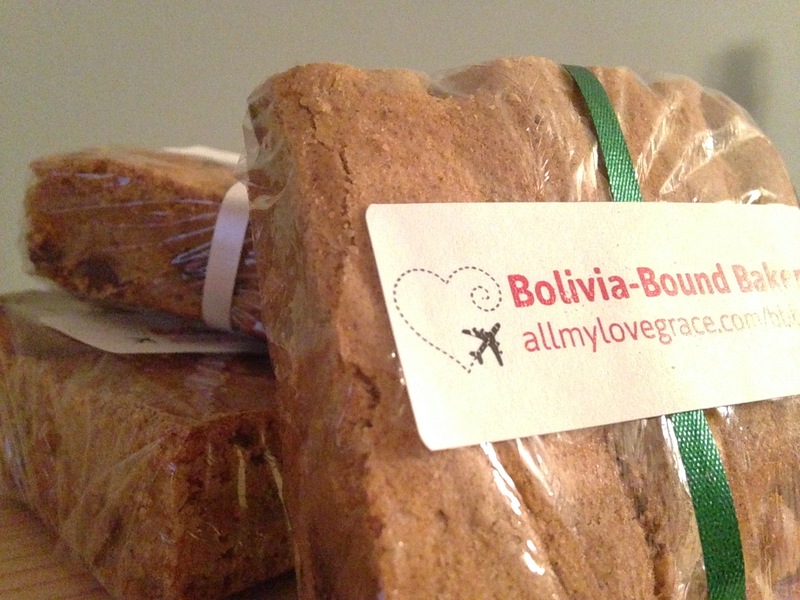 I am currently raising the funds through the Bolivia-Bound Bakery with my homemade goodies that I sell throughout my community. My hope is that with this gap year I can give more to the people that I meet, support a desperately needed organization that desperately needs help, learn more than I can imagine, and prepare myself to, just maybe, make a difference in the world that I love and the world that I have the power to influence. I believe I have been preparing for this experience every day of my life. From my formational Montessori education and wilderness survival training, to giving and following directions in a kitchen, and learning to drive, I have felt failure. Everyday, my failures both humble me and give me the confidence to face the next challenge, whether it be surviving on my own in another country or knowing when to give up on a failed batch of muffins and start fresh. But, most importantly, I am prepared for this journey because I have a passion and a life that I need to share, parts of me that can never be lost in translation.